As an IT, software, or product development professional, you must have noticed all the buzz around Application Lifecycle Management tools in professional discussions. Despite our best efforts, this is actually not a result of the hard work of ALM vendors' marketing departments. Instead, it's accounted for by the fact that experts are noticing a growing need for holistically integrated, scalable ALM tools in product development across all industry sectors. These next generation ALM platforms dock into PLM and greatly support the development of modern system-of-systems products that have software, hardware, and service components and, in more and more cases, also offer connectivity to the IoT. Thus, an integrated ALM platform is increasingly regarded as a necessary tool for any product development team, as much as PLM solutions have become "tools of the trade". Investing in a modern ALM solution is becoming a strategic business decision that has the potential to really impact the profitability of the entire company going forward. 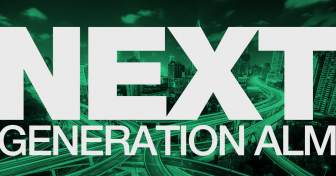 What is a next generation Application Lifecycle Management tool? The term "next generation ALM" is used to refer to ALM tools that have flexibly evolved to enable scalability and traceability along the product development lifecycle. Such tools rely on a single repository to store all your lifecycle data and to provide end-to-end gapless traceability, but are also highly scalable due to their flexible architecture and database performance. Since they offer functionality that covers the entire lifecycle and collaborative features, separate or distributed teams working on the same product can easily work together. In other words, next generation ALM tools perfectly suit the needs of product developers that need to be able to plan, oversee, manage, and report on the whole development lifecycle of their products – ideally all under a single platform. By enabling teams to define and enforce mature processes (even in a scaled environment), codeBeamer ALM and other modern ALM tools can greatly facilitate compliance with safety-critical regulations. However complex the lifecycle process, codeBeamer offers collaboration, automated documentation, and simple reporting options. Essentially, the greatest value that next generation ALM tools offer is that of continuous compliance and full transparency in scaled development. Why rely on next generation ALM in the development of complex products? As software proficiency is becoming the currency in today's increasingly fast-paced market of more and more sophisticated products, your proven, tried and tested old development methods and tools are starting to lose their edge. Managing this level of complexity while also reducing development time, yet maintaining the high quality of products is a huge challenge weighing on a growing number of product developers globally. These benefits are enabled by the optimized efficiency of lifecycle sub-processes. You'll find the most sought-after advantages of integrated ALM broken down by job titles in our eBook (free to download!) at the end of this article. The advantages of ALM far outweigh its perceived cons – in fact, the only concern recurring in the professional conversation is that rolling out a new ALM tool would disrupt existing processes, unleashing chaos across the development lifecycle. With next generation Application Lifecycle Management, however, that's not something developers have to worry about: the flexibility of these tools allow you to tailor processes to suit your needs, and integrations with widely used tools let you simply weave ALM into your existing toolchain (Word, Excel, IBM DOORS, SAP, JIRA, Jenkins, etc). Therefore, integrating a modern ALM tool in your development environment provides widespread, scalable benefits across the lifecycle with a manageable investment of time and effort. Implementing next generation ALM helps you future-proof your processes, and scale mature, compliant development processes along the product development lifecycle. To learn more about how ALM helps accelerate and scale innovation, download our eBook below. Ready to give it a try? Start your free evaluation instance or contact us with your questions!